I first came to Invoke and to my practice of yoga over five years ago when I joined the prenatal class while pregnant with my daughter. My wonderful teacher Sage helped me fall in love with yoga. Her calm words, gentle adjustments and always encouraging manner helped me feel welcome in this new-to-me space and were the perfect introduction for an uncertain beginner. Six months after my daughter was born, my father passed away suddenly of a heart attack on Thanksgiving day. He had been my only living parent since my mom passed away when I was 10 years old. He was my rock, my sense of stability in the world, the best dad I could have ever asked for. In the months and years that have followed since that loss, my time spent on my yoga mat has been some of the best therapy in the world. It has helped and continues to help me navigate the ongoing grieving process. Bar classes with Glenna, Tess, Lindsey and Amy have also been a perfect place to enjoy a fun and challenging workout with friends and focus on something else for a little while. In many, many yoga classes over the years I have heard numerous teachers repeatedly remind us that our practice is just that – a practice. It is part of a larger yoga journey, and each class is just one step along the way. Over the past year, these words of wisdom have rung especially true for me as I have deepened and intensified my own personal practice. This was primarily the result of me finding the equivalent of my yoga teacher soulmate in Kara. From the very first class I took with her, I was hooked! Her style is athletic and very challenging, but in the best way. She knows exactly how to push you and encourage you and help you grow stronger. “Find your edge but don’t go over it,” she says often. The first class I remember laughing out loud a few times at things I thought I would never be able to do (her intense ab series, some arm balances and handstands to be specific) but now with lots more practice and hard work, those formerly laughable things have become a routine part of my practice. There are a couple of mantras from Kara’s classes that really resonate with me. Her reminders that no feeling is final or permanent, and that we must learn to embrace discomfort because it is in that space of discomfort where growth and change can take place, have helped me immensely in my yoga practice as well as my day to day life. Additionally, they have helped me make great progress in my non-yoga workouts, running in particular. In the past, the ability to run more than a mile generally eluded me but this year, thanks to continually remembering Kara’s words, I have been able to push past the discomfort and grow stronger, running farther and faster than I ever thought possible. (And, when all else fails, this little boost from Jim Carrey works wonders.) My physical and mental strength both on and off of my yoga mat have improved by leaps and bounds this year, primarily as a result of Kara’s teachings. It may sound dramatic but it is true – her class has literally changed my life! If you have never taken a class with her, I urge you to try one as soon as possible! You will not be disappointed. Invoke as a whole has helped me navigate through big life changes, deal with devastating loss, and discover physical and mental strength I didn’t know I possessed, all while providing me a community of wonderful people to practice beside. I can hardly find words to articulate the gratitude I feel at being a part of this community but maybe it is best expressed in yoga terms. At the conclusion of each practice when we are often prompted to call to mind three things we are grateful for, Invoke and its incredible teachers are nearly always part of my list. Thank you from the bottom of my heart to Kara, Glenna, Cheryl, Erin, Stevie, Annie, Lindsey, Tess, Ahna, Chuck, Laura, Amy, Jillian and anyone else I have had the privilege of learning from. You have enriched my life more than you could ever know! Categories: yoga | Tags: healthy-living, indianapolis, invoke, Vinyasa, yoga | Permalink. For nine straight years, somewhere between 10 and 28 hours of my week was spent hearing (almost) nonsensical phrases such as those. My ballet teacher, Katie Smythe, CEO and Artistic Director of New Ballet Ensemble in Memphis, Tennessee, was a mastermind at thinking up creative metaphors to help us connect our minds to our bodies and place our bodies in the perfect positions. An outsider would probably think that we were money-obsessed fantasy characters driving cars, instead of dancers perfecting our ballet technique. But those metaphors became an invaluable teaching tool when I became a Pilates Mat and Bar Effect™ instructor. Nothing gets to students, old or new, like great visuals. My ballet teacher also used to come around, physically moving our bodies into the right positions. Sometimes she would joke about her old teacher who had these horribly long fingernails and used to come around pinching her students glutes to make them squeeze harder. I use this touching technique (not the long fingernail technique haha) when my students become comfortable with my teaching style, and I call it the “Midas Touch” – the results are gold when the student finally accesses the right muscles in the right way! When I stopped dancing full-time and became a full-time undergrad, I decided to get Pilates certified through Invoke Studio’s Peak Pilates certification. It was a perfect fit! Funny thing – I am now even more toned, physically fit, and knowledgeable about my body than I was as a dancer. Oh, and I love my body WAY more. Now, when I take ballet classes back in Memphis, Ms. Katie always comments on my physique and my endurance, noting that I look like I never quit dancing full-time. While I now prefer Pilates and Bar Effect™ to ballet and dance classes, I would not be as strong of a student or a teacher without this background. With my understanding of proper ballet technique and alignment, as well as a large inventory of exercise options, I feel confident leading my class safely through a fun, but challenging class. This past February, I presented a conference session at Mid West Fit Fest, entitled “Pilates Barre Fusion: What is Safe and What is Harmful?” I used my knowledge of ballet technique and alignment to show other instructors how the best barre classes are taught, and how teachers should cue correctly to ensure safe alignment and the proper engagement of specific muscles. I had wonderful feedback from this session, and I love knowing that my ballet past has given me the tools to successfully and safely teach in my present and in my future. I love that Bar Effect™ gets into muscles I never even knew I had, and I love that the format allows you to hit every single part of the body so that you’re balanced. I love taking Bar Effect ™ classes just as much as I love teaching them. Most importantly, I love putting in all the determination to hold a position longer or lengthen a little further. I feel both physically and mentally stronger after class. And that’s what it’s all about. That’s why people love it. It’s a challenge and it moves you forward in life, just as ballet has moved me forward to where I am now. The path to discovering me. 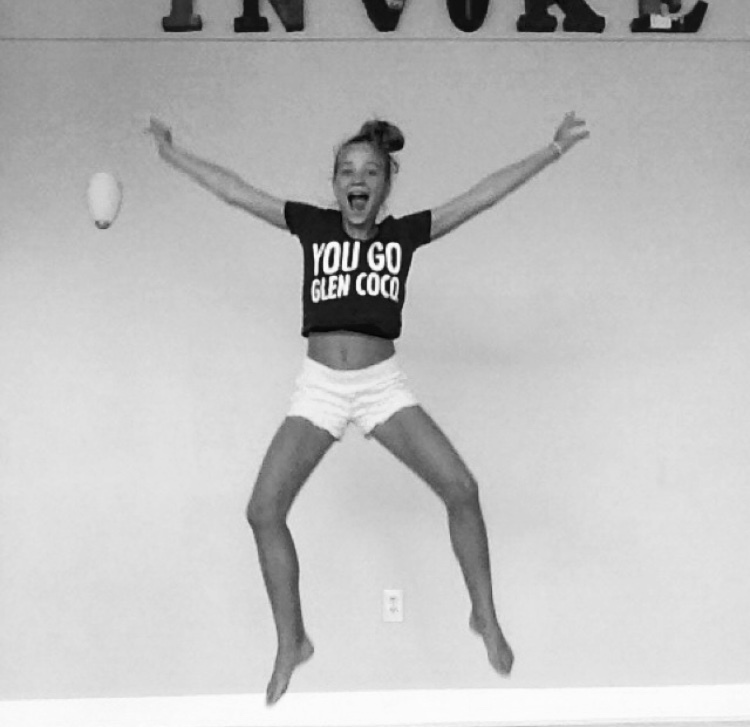 My name is Laney, and I am the niece of a yoga teacher ,who just so happens to own Invoke Studio. I have grown up with yoga in my life and I have always enjoyed practicing, which is why I wanted to be able to share this with my friends. As a 7th grader, it’s hard to balance school work, playing sports while still maintaining straight A’s, and spending time with my family and friends. 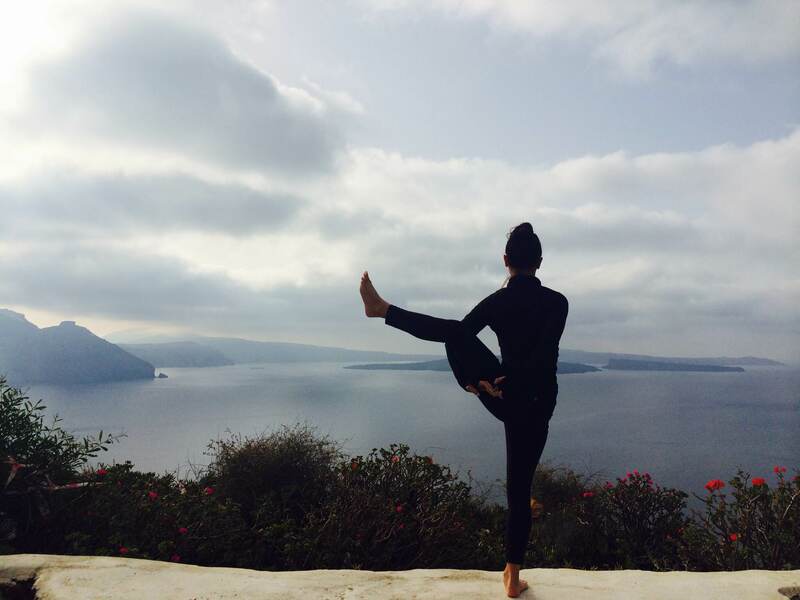 Yoga has always helped me to relax, and it has taught me how to connect to myself and to the world. So, when I heard that Invoke was having a workshop for teens, I decided to enroll in Discovering Me – Teen Yoga with Robbin Schneider. During the workshop, we were asked to journal about our experience and emotions. I really enjoyed this process because it allowed me to begin my journey to discovering who I am. Your teenage years can be confusing – and there are a lot of changes going on emotionally and physically. Not to mention the pressure you have from your peers. The journal process helped me to discover who I am right now, in this phase of my life. I have continued to journal even after the workshop ended and I am excited to continue on the path to discovering me. Even though I know I will continue to evolve and grow over the years, journaling is helping me keep balance and awareness in my life. While I did enjoy the journaling process, my favorite part of the workshop was how it created the ability to connect with others and to share my life experiences with my peers. I didn’t realize how yoga was able to create connections not only with myself, but with others as well. This really helped me discover that everyone is truly unique, but that we still can connect in the same way. After finishing the workshop, I have taken all of the things I learned and have continued to apply them to my daily life. I have changed the way I react to people and situations by simply changing my reaction from positive to negative. While I know this is difficult and that everyone struggles with it, the awareness the workshop brought to this behavior has allowed me to pay closer attention to my reactions to certain situations or challenges I face at school. For anyone who hasn’t experience Discovering Me – Teen yoga and is facing challenges in their life, just remember to stay strong and try to find the positive in your situation. It gets better, but being positive will make it that much easier along the way. Before this workshop, I didn’t realize the impact I could have on my peers and myself. After finishing the workshop with Robbin, I am working towards being an inspiring person to others. I know now that I can achieve my dreams, no matter what others say and I know now that I have the tools within myself to continue on my journey – whatever that may be! My shaman said it at the end of our session the other day. It’s a word that’s been floating around in my head for weeks. Since I started to teach SUP, actually. I can feel the fear of falling in the water from some of my students. In others, that same fear of falling off the board feels more like empowerment. I think the latter is a better perspective to have. Teaching SUP yoga has allowed me a vantage point that I’ve never been exposed to before. So many of my students come with limited paddle board experience. They’re not only trying yoga on the water (which isn’t easy), but they are trying their luck at paddle boarding too. The likelihood of not being good at it is high…but I’ve watched every one of them succeed, in one way or another. For the students that see the board as an added challenge, and the possibility of getting wet an added bonus, they spend their time on the water searching for their edge; That sweet spot where they are pushing themselves to the point of falling out of the pose. I’ve watched so many step right up to the edge and stay just dry of it. But the ones that step up…and over…they come up out of the water with the biggest smiles on their faces. Some may see that as a failure. That the goal of SUP yoga should be to stay on your board…to stay dry, but if that was the goal, we’d do the practice on land. It’s those folks that confuse the goal (see the possibility of failure) and say they want to try it, but never do. Their egos can’t handle the idea of it because their perception of it is all wrong. 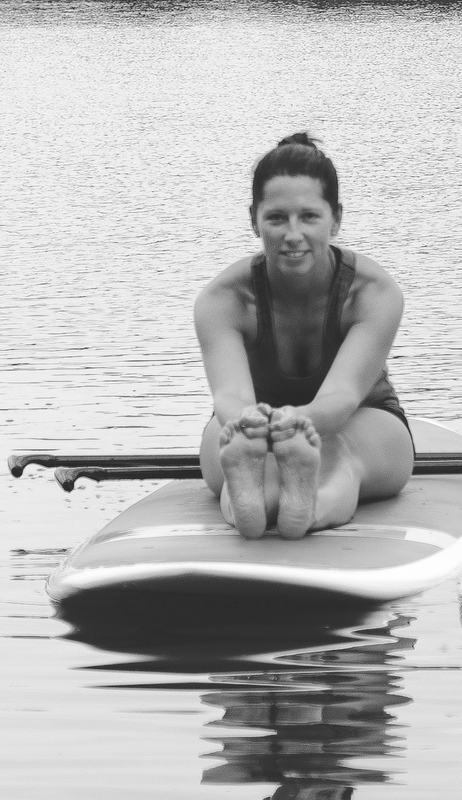 The goal of SUP yoga is to empower yourself. To take your practice and belief in yourself to the next level. Yoga on land is hard. Putting all the pieces together…breath…movement…alignment…takes focus and practice. When you add in the instability of a paddle board…the unpredictability of nature…the flow of the water…and then decide to do yoga…well, now that takes your focus and practice to an entirely different level. Any bad habits a student has developed in the classroom are completely exposed on the water, and their penance is most likely to lose their balance and fall in. But the forgiveness of the water, the warmth of her hug as you take a plunge, summons a deeper inner strength. A resolve to climb back on the board and try the pose again, this time nailing it, or maybe not. It doesn’t matter, though because the sense of accomplishment, of being completely focused on your alignment, breath and movement is the reward. Those students that bring that mindset to the water, never consider falling off as a failure. They know that yoga, like life, is a practice. That each day our bodies are different. The weather is different. The water is different. Life is different. And each day they bring an attitude to do their best. To focus on the task at hand. To be present in the moment. To find a new level of peace…calm…accomplishment. Those students may leave my class wet…soaked to the bone…but they also leave with a smile…with laughter in their hearts…with a sense of evolving their practice. 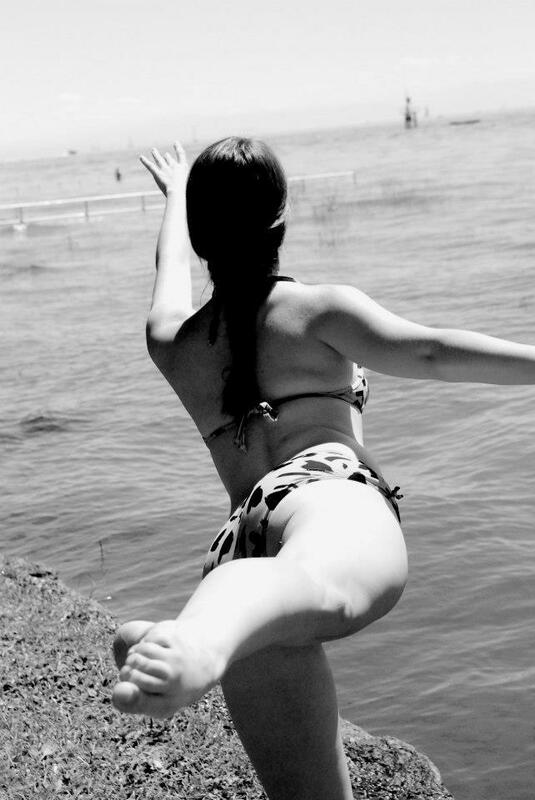 Each time someone falls in the water, I cheer and holler for them. I tell their fellow students that we need to celebrate the fact that they fell in the water. That now that they are wet, their practice will be completely different than it would have been…then it will be for the rest of us that are still dry. Gone from that student’s mind is the fear of getting wet….the fear of failing…because it happened. Just like that. For the rest of their practice, they will be searching for their perfect alignment…and their edge. When they find their edge, they may willingly step over it…pushing themselves just a little harder to come deeper into a pose…and they may get wet. But it won’t matter, because they already are. SUP has taught me that there’s no such thing as failure. There’s only the mindset that you bring to your practice…to your life. From there, everything that follows is as simple as taking a little plunge…crawling back onto your board…and trying again.